For those of you who are using a Non-US MUI, the latest version of vWorkspace now offers localized connectors. With version 8.6.1 of vWorkspace Dell has translated the connector to several languages like French, German, Spanish or traditional Chinese. You will also find performance improvements with adaptive graphics and anonymous logon, improved support for multi-tenancy and more. vWorkspace is also available for trials on Microsoft Azure. It has been a long time that we are talking about the 8.1 release. There has been a back and forth in the development and release of this new version. But the wait is over. Today Dell released the latest and greatest version of its successful and for me the best Thin Client OS in the market. Some of you already had the chance to beta test this version or ever get the final code directly from one of the Dell SEs. But now it is posted on the Selfservice Portal for general access – at least if you have a valid maintenance contract. 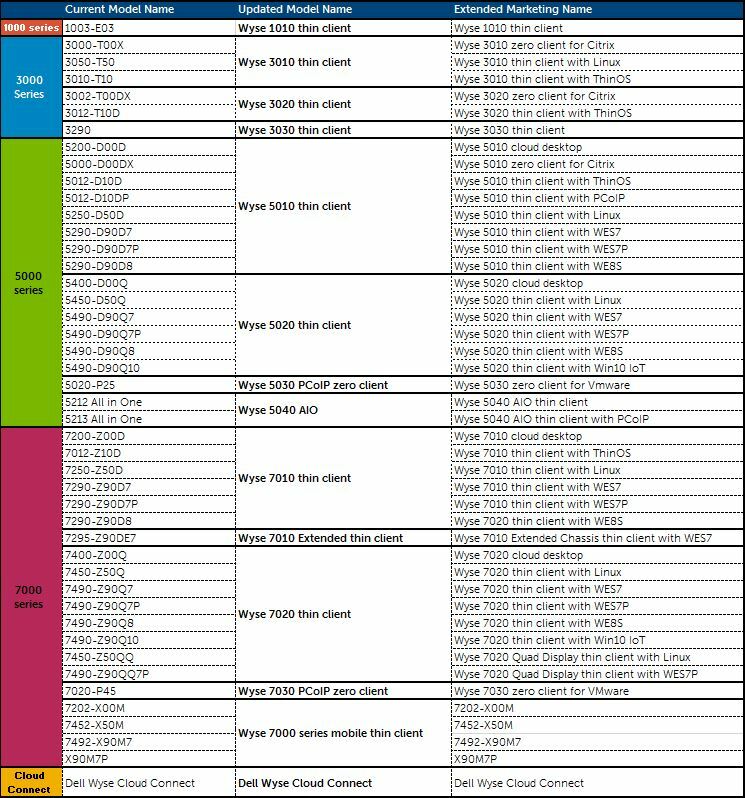 There is no new firmware version for the D10DP/5010 with PCoIP or 5213/5040 AIO with PCoIP. They have to wait for the next release to get all these new features. I have uploaded the new Admin and INI guide to this site. Check the Download section – ThinOS. NetScaler User-Agent change: Before this change you’d have to create a new NS policy to check for “WTOS/1.0” in the User-Agents HTTP Header. Now ThinOS reports WTOS/1.0 and CitrixReceiver in the header. Therefore, you still can devide between standard clients and ThinOS, but you do not have to. 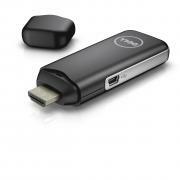 Dell presented its latest addition to their Thin Client portfolio. It is the second All-in-One with a bigger display and a different audience. The new Dell Wyse 5050 is a combination of the Dell-Display P2414H with 23.6″ in size and the Wyse 5030 (aka P25). It is the first time that you get a nearly 24″ monitor with an in-build Teradici chipset to easily connect to a VMware Horizon View environment with a great performance. Everyone who has worked with the 5030 in the past, knows about its capabilties as a fast and reliable Zero Client. The client is equipped with six USB ports, whereof 4 are build at the site of the client to be easily reachable. The display supports Full-HD. The stand is detachable and can be rotated. The 5050 will become available in the US in December, following in other regions in 2016. 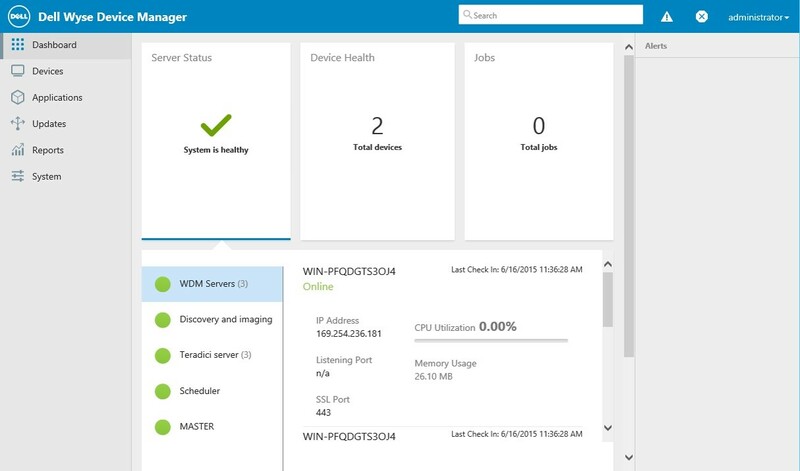 You can manage the client with Wyse Device Manager or Teradici’s own solution. In the last weeks Teradici changed its licensing model of this management software, which is now not longer free of charge. 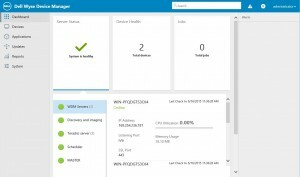 Along with the new 5050, Dell announced an upcoming update of its cloud-based management soltion Cloud Client Manager. Version 9 brings support for iOS 9, Windows 10 and delegated control. With the integration of Wyse into Dell, the names of the Thin Clients have been changed. 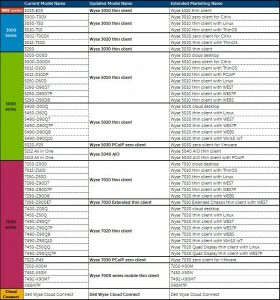 If you ever wondered what a 3010, a 5040 or 7030 is, feel free to use this table.